is an independent creator of books and other products that make learning about the world we live in a uniquely fun experience for the young and not-so-young alike! If you like to see new things...like to expand the borders of your mind... try our products! 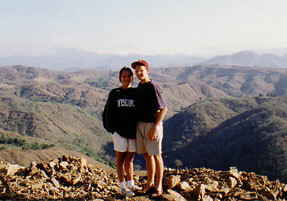 In August 1994, Angela and Brian Gustafson left for the Dominican Republic to begin an incredible two-year journey as Peace Corps Volunteers along the Haitian border. The culture, environment and friendships we experienced as volunteers not only fostered a passion for learning about other cultures, but planted an idea to share that knowledge through products we would want for our own children. 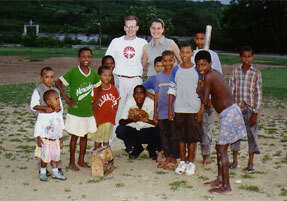 In 1998, was established. The early years involved researching ideas and taking classes amidst careers and raising a family. By late 2001, the vision for Imagine a House was taking shape and Angela turned her focus towards its creation. Imagine a House: A Journey to Fascinating Houses Around the World makes its debut as the first in the What a World We Live In series. Each book in the series will feature a fresh topic to share the uniqueness and beauty of different cultures around the world. Please, contact us to share your thoughts and cast your vote for future book topics!